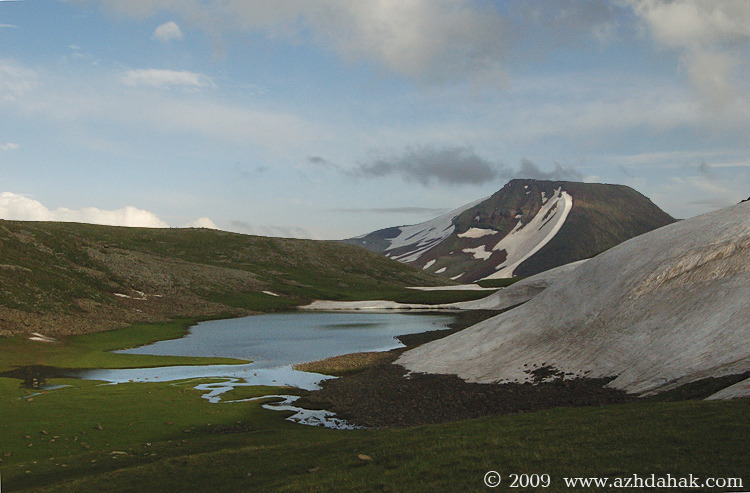 To climb Mount Azhdahak, there are many routes, each one unique from the other. Some of these routes can take 1 day others can take 5 days or more. Along the way the hiker will see places of scenic beauty as well as ancient buildings. Durations of each route are based on a typical physically well-prepared group and good weather conditions. Тhereafter, it could be 1 - 2 days longer. The above mentioned routes are a select 5 of all possible route combinations. 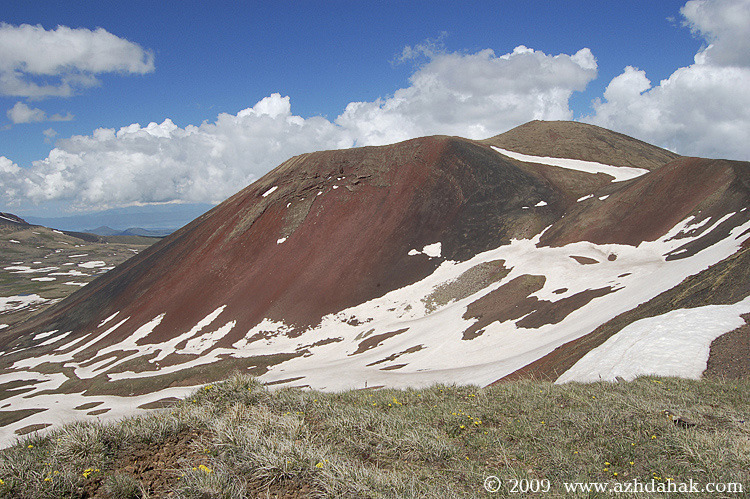 It is possible to climb Mount Azhdahak by a number of various route combinations of approaches and descents. Use this relief map to navigate to mountain peaks in the area of Azhdahak.